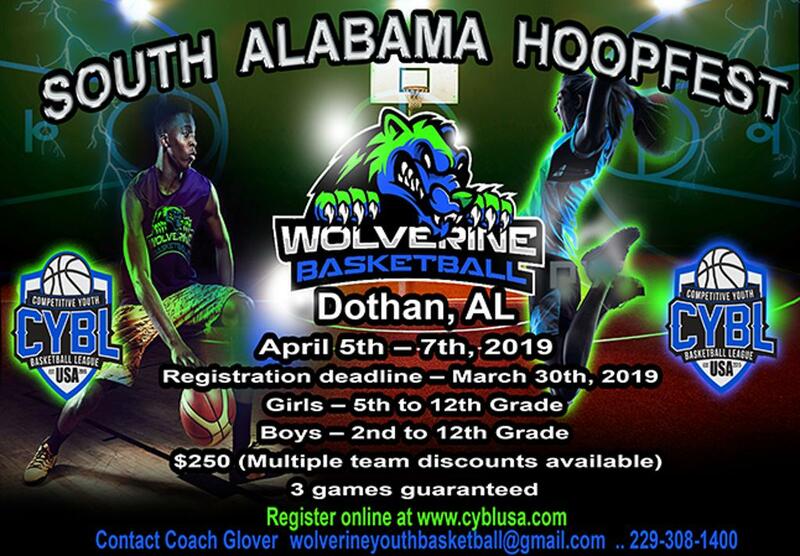 Welcome to the South Alabama Hoopfest hosted by Wolverines Basketball Club of Dothan, Alabama. This tournament features some of the best players and travel teams from Southern Georgia, North Florida and all over Alabama. This event will sell out. Schedule is subject to change. It is the team & coaches responsibility to continuously check the tournament schedule for updates and changes. Schedule is also available via our CYBL USA mobile app. They are both free to download at your mobile app store. ©2019 CYBL / SportsEngine. All Rights Reserved.